KARON: The use of high-tech scanners and integrated databases listing details of passengers and flight crews were among the latest methods of identifying terrorists discussed yesterday at the Asia-Pacific Economic Cooperation (Apec) meeting at the Phuket Arcadia Beach Resort. The timely meeting – coming in the wake of the Marriott bomb in Jakarta and the capture of top terrorist Hambali in Thailand – brought together members of Apec’s Counter Terrorism Task Force (CTTF), who gathered to discuss security issues in international trade as well as safety issues concerning the international transport of goods, suppressing financial support for terrorism, IT terrorism and travelers’ safety. 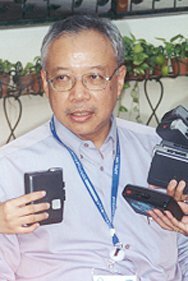 Akrasid Amatayakul, Ambassador Attached to the Foreign Ministry, in the Office to the Permanent Secretary, said, “Biometric systems are being used by some Apec members in order to stop terrorists from entering their countries. These can recognize [a person] even after having plastic surgery and can check whether the person matches the passport photo.” Another new technology discussed was Advance Passenger Information – a system of integrated databases to allow immigration officials to check details of passengers and crews before arrival. Before the meeting got underway, Apec members condemned the bombing of the UN headquarters in Baghdad on Tuesday and observed one minute’s silence in memory of the UN Secretary-General’s special representative to Iraq, Sergio Vieira de Mello, and other UN personnel who died, as well as the many who were injured. Meanwhile, it was announced that the Apec meetings are worth an estimated 10 million baht a day to Phuket in spending by delegates. The Permanent Secretary of Foreign Affairs, Tej Bunnag, praised the organization behind the meetings and added, “It’s good for the Phuket economy. I expect that about 10 million baht a day is being spent in Phuket while the meetings are being held.” K. Dej explained that the Apec meetings had attracted more than 1,000 people to the island, including Apec delegates, their families, support staff and private sector representatives from the 21 member-economies.